Below is a report on our first Messy Church in February 2016. 26 children took part in our first Messy Church-the theme was Candlemas.. these 26 children brought along their parents or grandparents maybe even aunts or uncles... smaller siblings and babies... the Community Centre Hall was alive with the buzz of excitement and the happy faces reflected the mood in the hall.. we started with a snack and a drink then the children were let loose on the craft tables.. being Candlemas the crafts were all about light so jam jars became decorated tea light holders.. candles were used to draw pictures and then painted over.. there was lots of paint and it did get messy but it was so much fun.. both young and old got stuck in and had a great time.. worship time came next and Robert led us all in songs with actions and then talked about Jesus the light of the world.. Finally the childrfen sat down to sausage, mash and beans followed by multi-coloured jelly and ice cream... 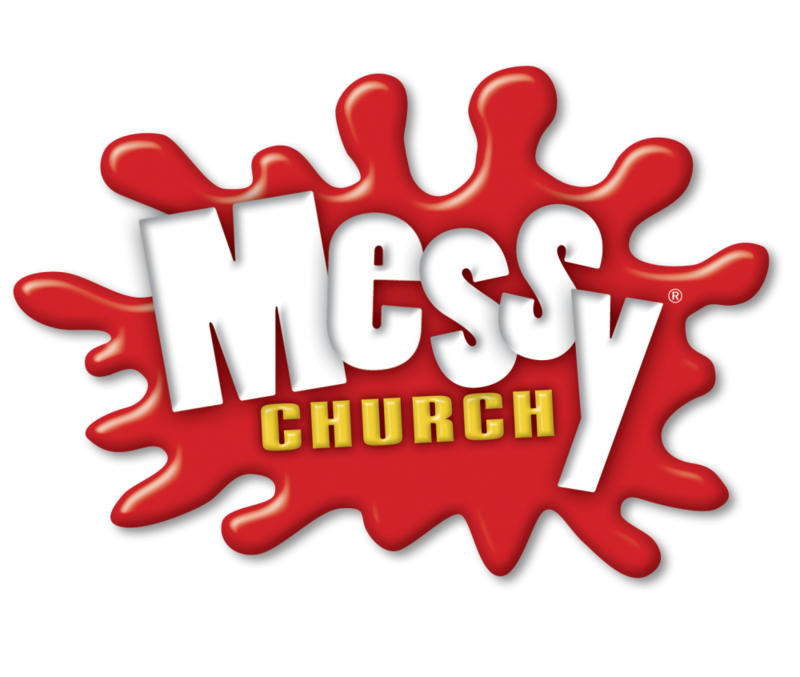 So yes a good time was had at our first Messy Church so much so we're going to do another one in may so watch this space for details... Thank you so much to all those from the church family whio turned up to join in-your help was invaluable... A great big thank you has to go to Cheryl at the Waverley Hotel for her generous donation of sausage, mash and beans and the staff who prepared it ready for us to pick up... thank you too to Lyndsey for her donation of multi-coloured jelly-it was quite spectacular and the children were well impressed.. thanj you to the infant School for the loan of some equipment... and to all you out there who prayed for the success of this project please keep up those prayers but our final thank you has to go to the children and the adults that brought them and for bringing your enthusiasm and making the while afternoon such a joyful occassion..
Below is a report on our third Messy Church in September 2016. We had our third Messy Church on 14th September. As it was Holy Cross Day the theme was symbols of faith.. so we had crafts to do with the cross, the candle, wafer and the fish.. Eight of us turned up the week before at Church to make papier mache fish.. which required 30 blown up balloons, masses of strips of newspaper and very messy glue.. it caused quite a bit of hilarity as we worked away. Unfortunately we didn't quite manage thirty at that session but did have thirty on the day waiting for the boys and the girls to come and decorate them... a great big thank you to that productive gang and all those who took other crafty things home to cut and prepare and.. make more fish!! Again we had lots of children, about forty this time if you include babies so that our Messy Church continues to grow so please keep on praying.. we even had a very skilfully made garden size Ker plunk made by one of our very handy members of our church.. it's a game for those who don't know that involves sticks and balls-the aim is to take out as many sticks as possible without the balls falling through.. the children were very enthusiastic about playing with it.. Thank you so much to all those who came to help in whatever way and those who came with their grandchildren to join in the fun.. all your hard work contributed to the success of the sfternoon.Once again we have to give a great big thank you to Cheryl at the Waverley Hotel for her generous donation of food and to the staff and to our Jelly Queen Lyndesy.. Robert taught us more songs including one that we had to make a sound of a train whistle and actions which included some rather energetic jumoing up and down but I think the most energetic was Robert..
A report on the November 2nd 2016 Messy Church is in the December 2016/January 2017 magazine elsewhere on this website. Fun crafts, celebration time and food. Everyone is invited-young and old alike, adults, children, carers, grandparents, come as friends, families or partners, or come on your own, all are welcome. If you are a child you need to bring an adult with you.